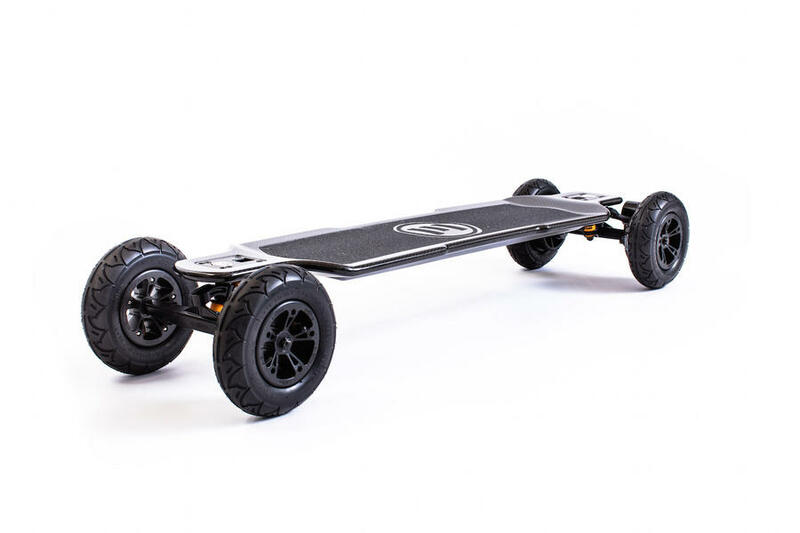 You want that extra smooth, carving street ride from your electric skateboard, but like to switch it up for some more challenging rougher stuff and technical, mixed surfaces then the Evolve Carbon GT 2 in 1 gives you the best of both worlds. 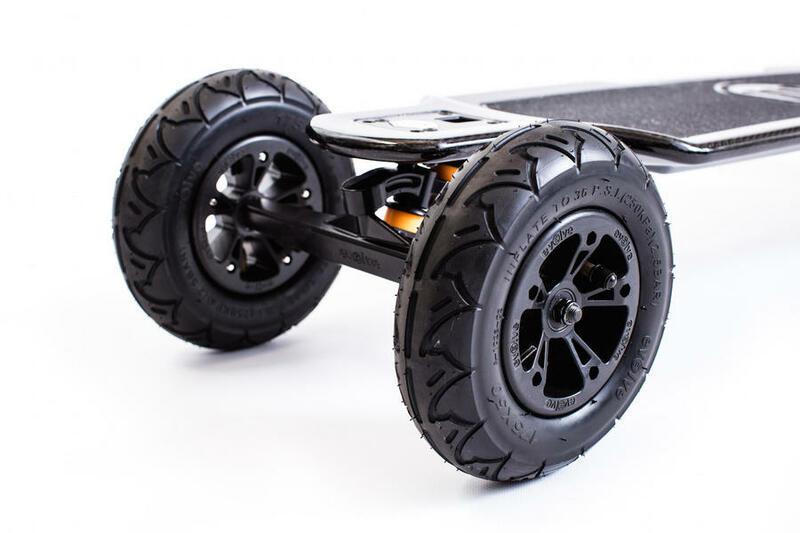 Easily switchable wheels will take allow you to go from your daily commute street wheels to the muddy weekend, adventure hunter all terrain wheels. The same power, the same unrivalled ride but now you have a choice! A 3000w dual brushless motor thats quiet, efficient and powerful. A clever regenerative energy ABS braking system for smooth slowing and stopping ability. 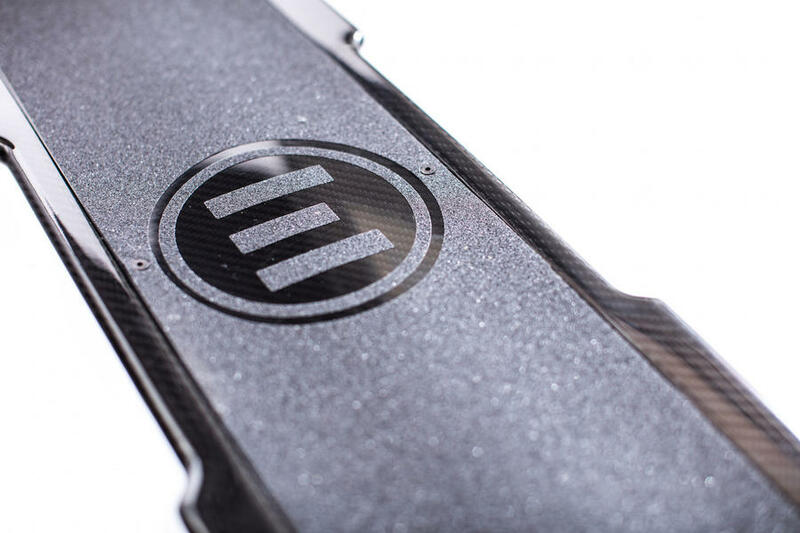 The deck is made a custom moulded, carbon fiber and kevlar design which assists with stability and more precise carving, also making for a cleanly styled, high tech apperance. Taking you up to 50km with the Street GT wheels and up to 30km on the AT GT wheels in just one charge. The Carbon GT 2 in 1 offers you the best of both worlds with the option to swap the wheels over, so you can ride most terrains available. 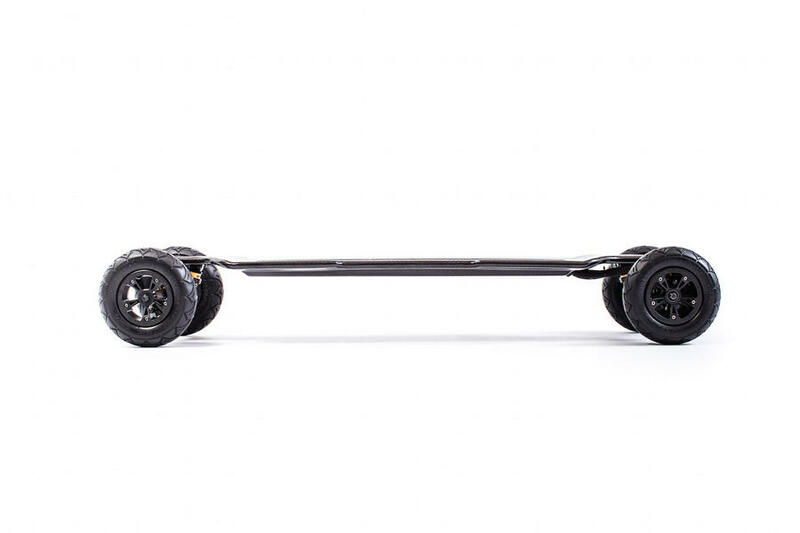 Don't forget that this is an Electric Skateboard and should only be used in dry conditions. Start your adventure using the “SLOW” mode. 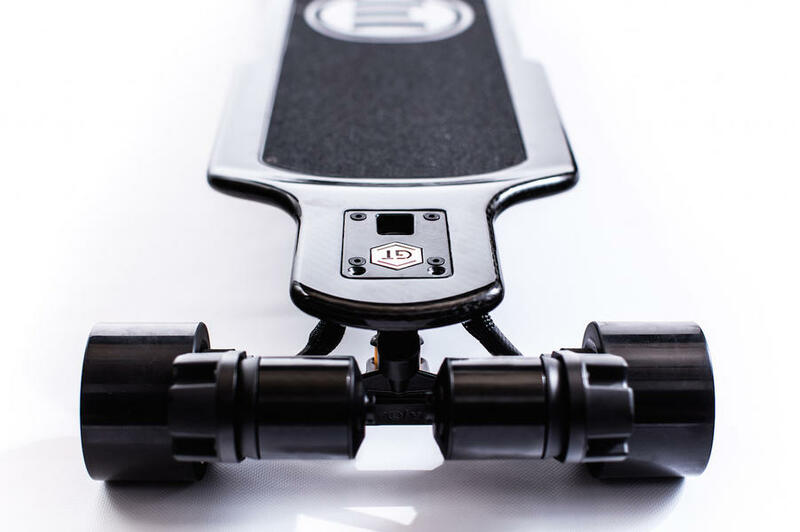 This will help you easy your way into riding an Evolve Electric Skateboard. Once you feel a bit more confident switch to “ECO” mode for a relaxed ride and unparalleled range. When you feel a little bit more brave you can switch to “FAST” mode to speed past traffic and turn your commute into a little bit more exciting. When you can master the FAST mode you can switch to “GT” mode to unleash the crazy power and acceleration with the ability to climb hills of up to 25% gradient! Check out the full list of features below. If you want to try a board before you buy, come and visit us for a demo! Slides: The AT Wheels will not slide unless on gravel or grass surfaces. The Street GT Wheels will allow you to Slide. Product Weight: 7.9kg/17lbs Street GT and 9.5kg/21lbs All Terrain. Top Speed: Approx. 36-42kph/22-26mph on the street GT depending on wheel and gear size (see speed chart). Approx. 35-41kph/22-25mph on the All Terrain GT depending on wheel size. Range: Up to 50km/31miles on the Street GT. Up to 30km/18.5miles on the All terrain GT. Battery: 42v Lithium Ion with custom BMS ( Battery Managment System ). 4 Speed Settings - Choose between "Slow", "ECO", "Fast" and "GT"